Life in a traditional Chinese home (hutong) is intimate to an extent that can be hard to appreciate unless you’ve lived in one. The buildings face each other across a courtyard (or multiple courtyards in wealthier homes), and all are protected by an enclosing wall with a gate that’s ideally on the south side. 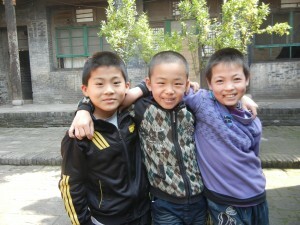 Come inside (if you have good intentions), and be enveloped in traditional Chinese life. The central importance of the 4 directions, which yesterday’s post on ancient Chinese thought introduced, still lives. On the north side of the courtyard, the main hall and living rooms of the patriarch preside. 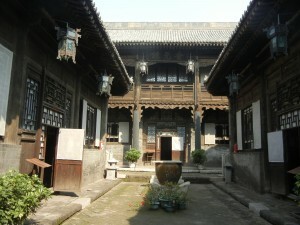 The main hall is in the center, and the ancestral tablets are preserved there. The main hall integrates the entire living family and its past. The oldest unmarried son has often lived in the eastern building, where the sun rises. This direction is associated with Spring, the season in which everything is renewed. The younger son often lives in the western building. When sons marry, they often move into the main building, unless the family is rich enought to build a new courtyard. So, the direction towards the main building represents increasing authority. The hutong’s spatial hierarchy embodies some of the 5 key Confucian relationships, such as that between father and son, and between elder and younger brother. 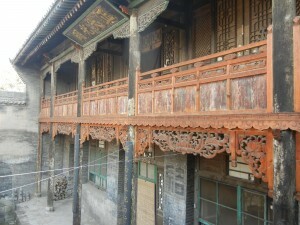 Above is a picture of the northern hall in the hutong that the three chums in the first shot are in. 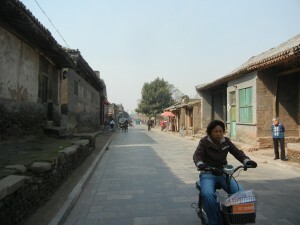 The photo above is from a fancier hutong in Ping Yao. I was looking towards the grand northern hall, paying respects. Streets outside of hutongs are narrow, and communities can be tightly-knit. The inside is also tightly knit. To be fair, not everyone has enjoyed living in hutongs–some are crowded, with everyone looking over everyone else’s shoulders. A wealthy family traditionally adds courtyards as it grows, but China’s economy has huge divisions between have’s and have-not’s. 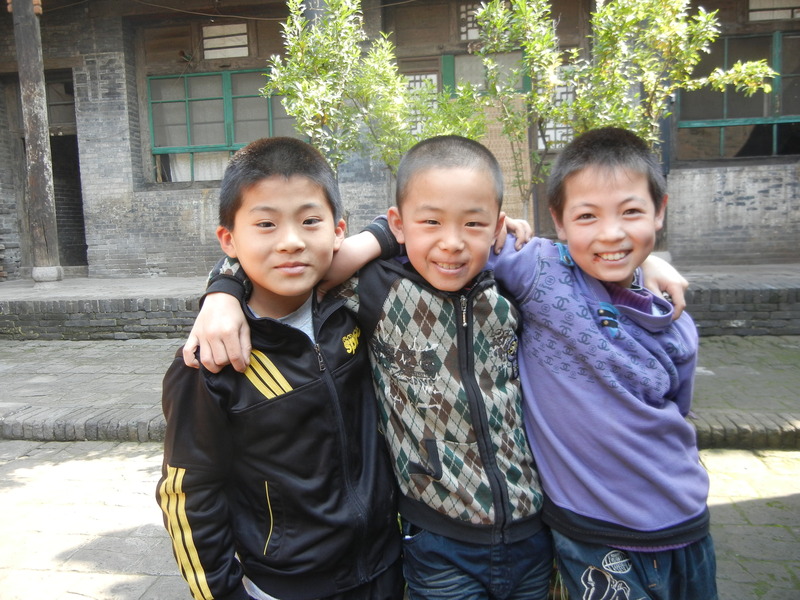 But traditionally, hutongs integrate everyone with each other, with the rhythms in nature, and with the conventions of political relationships, which Confucianism stresses. Capital cities since ancient times were also built according to the cardinal directions, with the palace presiding in the north. House and community harmonize with each other. So, living in hutong’s instills a feeling of harmony with family, community, history and nature with a depth that can be hard to imagine in traditional northern European and modern Western homes. You feel a holism–a constant sense that everything exists in a unified field. You can see why Chinese philosophy has usually stressed harmony between all domains. So have both Confucianism and Daoism, the two main religions that emerged in China. These thought patterns have so much continuity because they’ve been lived in the home since ancient times. As a native of California, I love my freedom, but I still feel a lot of affection for the life-style.